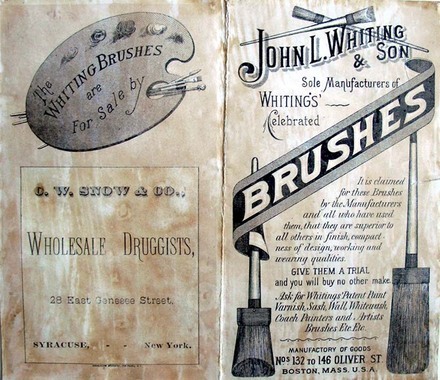 John L. Whiting & Son, Sole Manufacturers of Whiting’s Celebrated Brushes [recto and verso] (Boston: Whiting & Son, printed by Donaldson Brothers, Five Points; no date [ca. 1880]). Graphic Arts ephemera collection, 2011- in process. *Note, this piece contains offensive language. Before the contemporary business card, small trade cards were printed to advertise merchandise and services of various businesses. 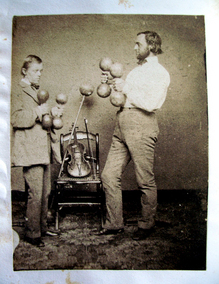 These might be elaborately designed and printed, often with humorous pictures. Towards the end of the nineteenth century, multicolor lithographic printing allowed for beautiful images on these relatively small, ephemeral cards. Whiting & Son, a Boston firm, went to the Donaldson Brothers printing company in lower east side of Manhattan for their cards because Donaldson specialized in this type of commercial lithography. Note the African American barber. 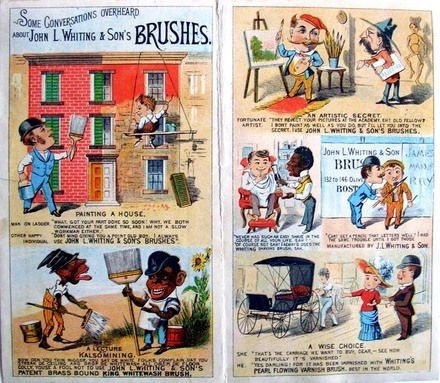 The Whiting brushes are marketed to both black and white owned businesses. Other examples of Donaldson’s cards have been posted earlier on this blog. For a complete history of John Whiting’s firm, see http://www.efn.org/~marves/en/projects/brush.htm or if this link does not work on your computer, just google John L. Whiting brushes and it will come up. 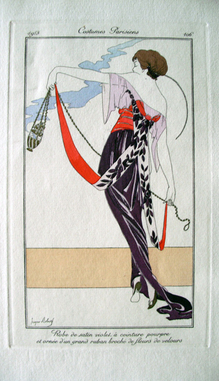 Three times each month, from June 1912 to August 1914, the exclusive subscribers of this limited edition journal received pochoir prints by George Barbier (1882-1932), Umberto Brunelleschi (1879-1949), Roger Broders (1883-1953), and many others. The cost was 100 francs/year. 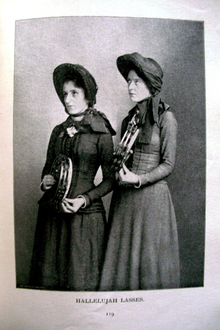 Altogether 186 plates were issued, before the publication ended with the outbreak of the First World War. 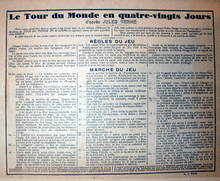 Note the watermark on the journal’s own hand-made paper. Artist unidentified, Bony’s Visions or a Great Little Man’s Night Comforts, 1811. 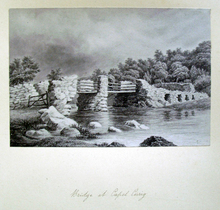 Aquatint. GC021 British Caricatures. Gift of Dickson Q. Brown, Class of 1895. 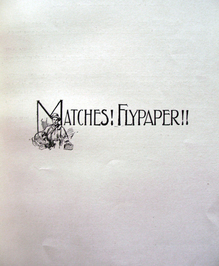 The Satirist, or Monthly Meteor was founded and edited by George Manners (1778-1853). 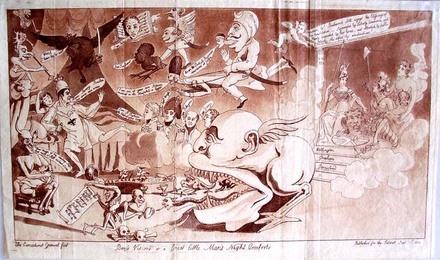 Beginning in October 1807, the monthly journal exposed the foolishness of contemporary politicians, opening with a folded frontispiece caricature. 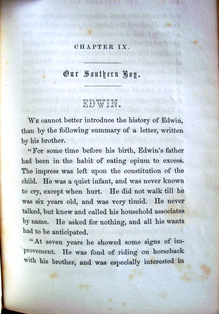 Manners sold the magazine in 1812 to the Scottish journalist William Jerdan (1782-1869), who ran it until 1814. This print is signed by The Caricaturist General. Several others in The Satirist are designed by Sylvester Scrutiny. Neither artist can be identified. 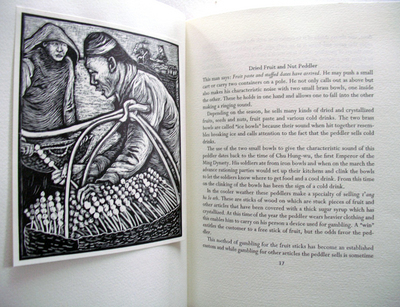 Many are etched by “de Wilde” e.g. Samuel De Wilde (1751-1832), a portrait painter and etcher who specialized in theatrical subjects. 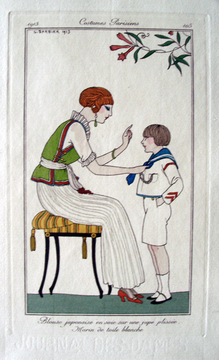 Bony’s Visions or a Great Little Man’s Night Comforts was published in volume 9, p. 165 as an illustration to “The Vision of Buonaparte,” p.110-21, which claims to be the Emperor’s account of a dream the night after his son’s birth. 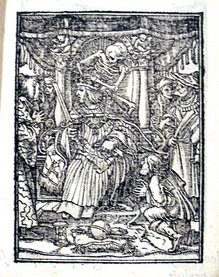 Near the bed is a coffin marked with ‘N’ and a crown; on this are a rat and two birds; a stork and an owl. An imp with antlers, crouching on the bed-curtain, is about to knock off with a wand the crown surmounting Napoleon’s night-cap. There is good reason the prints in The Satirist are rarely credited. 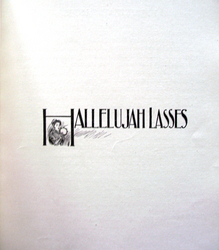 George Manners and his writers were the targets of multiple lawsuits. The magazine was only two years old when Manners wrote Vindiciæ Satiricæ, or a Vindication of the Principles of the “Satirist,” (1809) documenting the action brought by Peter Finnerty. Three years later, Thomas Gill wrote, Libels: a Statement of the Trial of an Indictment against George Manners, … 1st June, 1811, for Libels in The Satirist of the 1st May, 1809, and 1st September, 1810, on the Character of William Hallett, Esq., upon which Indictment the Defendant was Found Guilty…. Notwithstanding the unparalleled opposition which we have experienced, and the multitude of hostile scoundrels whom we have encountered, our publication is daily increasing its circulation…. We have dragged from their filthy dens a horde of miscreants, who battened on the fruits of slander, who mangled and destroyed alike the characters of the guilty and the innocent, and who, the moment we exposed them to the public eye, have either shrunk into their original insignificance, or only been noticed like gibbet ted murderers, for the enormity of their crimes. …We defy our enemies to point out a single instance where we have inflicted unmerited punishment, or bestowed unjust commendation. …Adieu for the present, dear Sir Richard, thou hast afforded us much amusement, but more melancholy reflections on the pride, vain glory, and hypocrisy of mankind: if we have waged war against thy vanity, folly, and—errors, remember, we were not the first to kindle the flame! 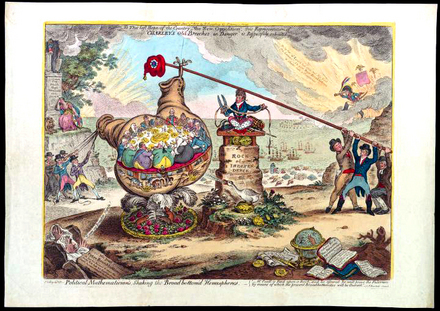 The Satirist, or Monthly Meteor, 1807-1814. 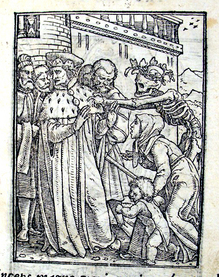 Graphic Arts Collection Cruik 1808 v.1-14. 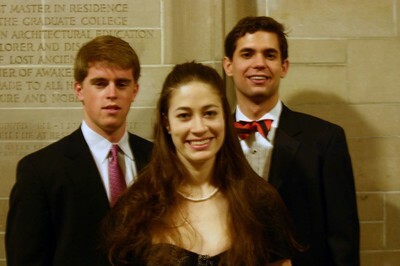 Gift of Richard Waln Meirs, Class of 1888. 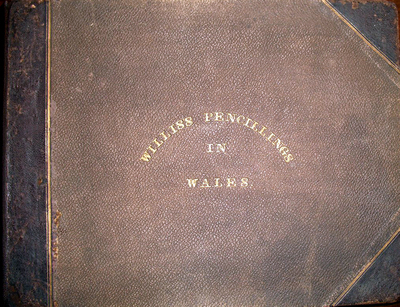 In the early nineteenth century, the American author Nathaniel Parker Willis (1806-1867) wrote a travelogue in the London Quarterly under the heading Pencillings by the Way, collected and published in 1835. 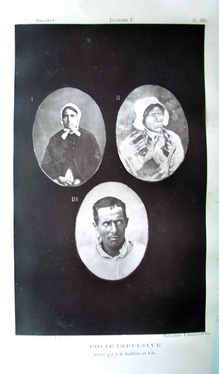 See also W.Willis, “A Recent Improvement in the Platinotype Process,” Journal of the Camera Club, 2, 47 (1888). 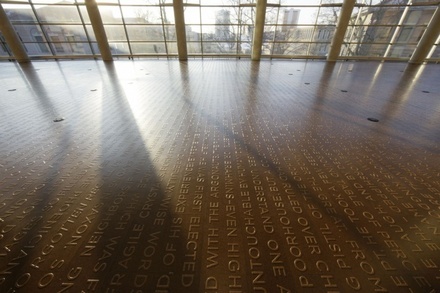 At last week’s College Book Arts Association conference, graphic arts was fortunate to collect a broadsheet printed by artist Ann Hamilton in association with her permanent installation, Verse, at the William Oxley Thompson Memorial Library, Ohio State University. 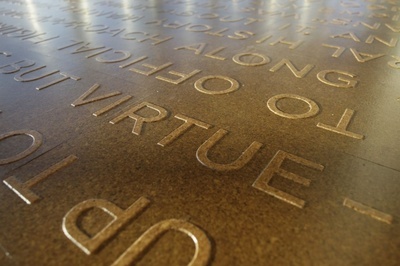 In conjunction with the renovation of their library, the Buckeye Reading Room has been installed with a 6080 square foot, two-color field of words set in relief on a cork floor. The text is an alphabetic intersection of three different accountings of world history, which are arranged in a literary concordance. The spine along the north-south axis is composed of 299 words, A to Z, adapted from a White River Sioux story entitled The End of the World. 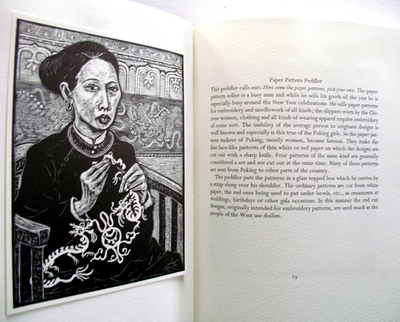 The east-west lines intersect this story with prose fragments from A Little History of the World by E. H. Gombrich (1936) and Mirrors: Stories of Almost Everyone by Eduardo Galeano (2009). According to the library’s press release, Verse in its form and woven organization is a reflection of how the reader intersects with and culls information and meaning from the library’s collection. As part of Hamilton’s continuing exploration of words and communication, the nearly 500 people attending her lecture joined in a communal phone call to the Pulitzer Foundation for the Arts in St. Louis. Hamilton’s work, stylus, is the Pulitzer’s first commissioned installation and the first multi-sensory exploration of Tadao Ando’s architecture. Annhamilton.pulitzerarts.org explains how you can contribute your voice to the reverberations of stylus. Whether calling in a song, a call, or a story, your words become part of an archive, which over the course of the project, constitutes stylus’s vocal body. (314) 884-1553. Call and add your voice. 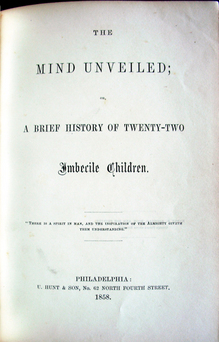 Dr. Isaac Newton Kerlin (1834-1893) was the Assistant Superintendent of the Pennsylvania Training School for Feeble-Minded Children from 1856 to 1862, first located in Germantown and then, Elwyn, Pennsylvania. After one year as a medic during the Civil War, Kerlin returned to serve as Superintendent until 1893. 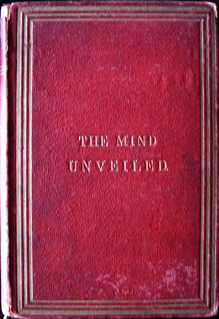 As part of a fund-raising campaign in 1858, Kerlin published The Mind Unveiled, which Weston Naef called “the first photographically illustrated medical book published in the United States.” It is an unscientific chronicle of Kerlin’s early years working with twenty-two of the young adults living at his institution. 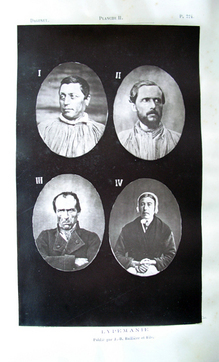 Copies of this book vary as to the images and number of plates that are included. 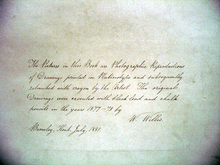 A copy at the Houghton Library holds two photographic prints and Yale’s has none. The newly acquired copy at Princeton University has one varnished salt print taken by Philadelphia photographer Frederick Gutekunst (1831-1917). According to Michael J. Brody, Director of the Marvin Samson Center for the History of Pharmacy, Gutekunst learned to make daguerreotypes from Robert Cornelius, founder of Philadelphia’s first photographic studio. In 1856, Frederick and his brother opened a studio of their own on Arch Street, which is where Kerlin came in 1858 to hire someone to illustrate his text. 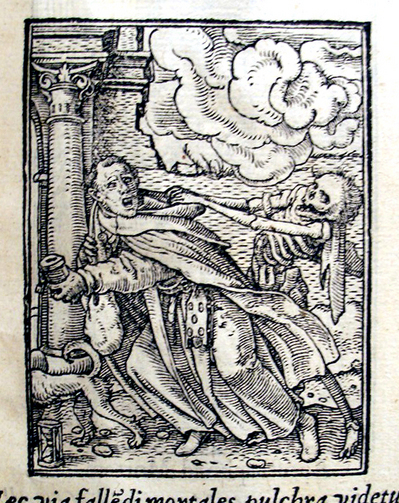 Holbein’s designs were originally cut and printed in 1526 for a dance of death alphabet and then, included in an Old Testament. 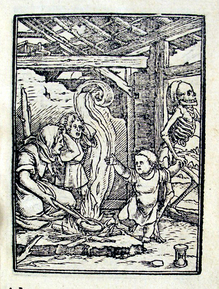 In 1538, forty-one of the blocks were published under the title Les simulachres & historiées faces de la mort avtant elegamtment pourtraictes, with a bible quote at the top and a poem by Gilles Corozet below. 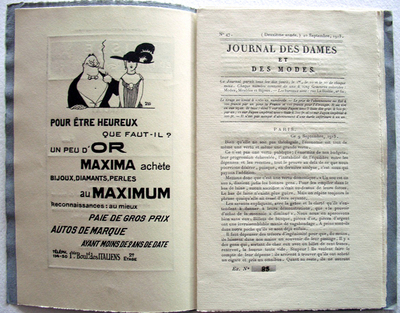 The book was banned but new editions continued to appear every few years. 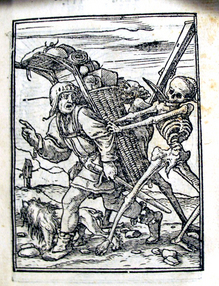 This 1547 expanded edition includes fifty-seven woodcuts. 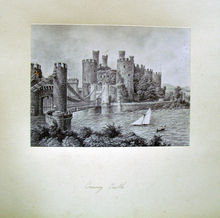 The artist of the new plates remains unidentified. They are interspersed with Holbein’s designs, with no explanation as to why another artist’s work was included. 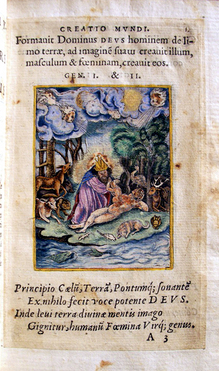 In addition, three of the plates in the Princeton volume, including the title page, have contemporary hand coloring. Here are a few samples. 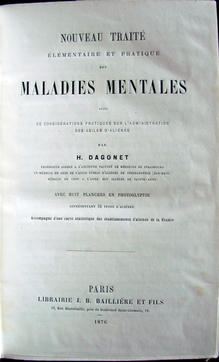 Henri Dagonet (1823-1902), Nouveau traité élémentaire et pratique des maladies mentales, suivi de considérations pratiques sur l’administration des asiles d’aliénés (New Elementary and Practical Treatise on Mental Illness) (Paris: Bailliere, 1876). Graphic Arts GAX 2011- in process. When Henry Dagonet (1823-1902) published his first textbook on mental illness in 1862, he didn’t bother with illustrations. 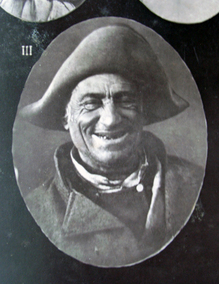 Fourteen years later when a second edition was planned, Dagonet corrected this by contacting photographer J. Valette. 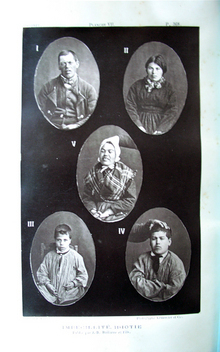 Valette created a series of photoglyptie or woodburytype portraits of Dagonet’s patients at Sainte Anne’s asylum in Paris. 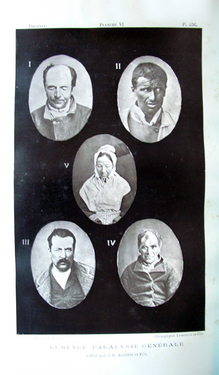 The images chosen to be published were meant to represent Dagonet’s classification of nine principle mental disorders: Manie (3 portraits); Lypémanie (4 portraits); Stupidité (5 portraits); Mégalomanie (3 portraits); Folie Impulsive (3 portraits); Démence, grouped with Paralysie Générale (5 portraits); Imbécillité-Idiotie (5 portraits); and Cretinismé (5 portraits). 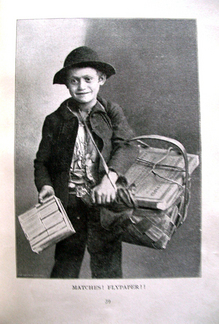 In the manner of eighteenth-century street cries, photographer Sigmund Krausz staged these photographs of peddlers, beggars, and street regulars in his Chicago studio. 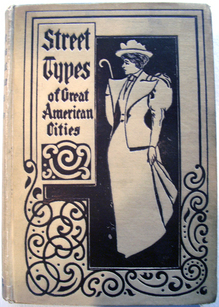 Original prints were used to illustrate his 1892 publication Street Types of Chicago. Four years later, he expanded the volume to include Street Types of Great American Cities, this time illustrated with half-tone reproductions of his photographs. 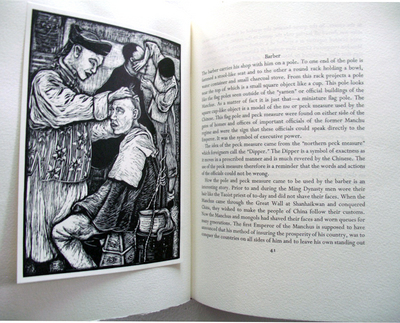 Portraits include the iceman, milkman, letter carrier, urchins, religious fanatics, food vendors and others. 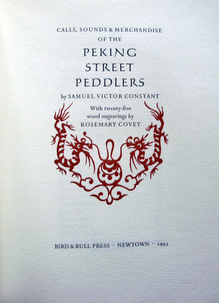 Another example of modern street cries was made in China by Samuel Victor Constant, who served there as an assistant to a military attaché from 1925 to 1937. 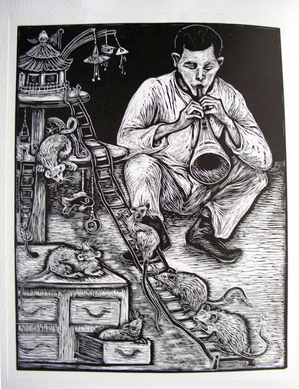 While in Peking, he studied at the College of Chinese Studies, completing his master’s thesis, entitled “Calls, Sounds and Merchandise of the Peking Street Peddlers” in 1936. 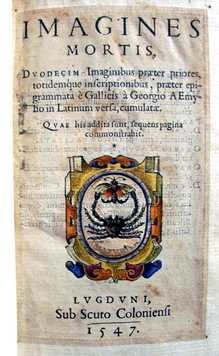 A copy of the work was commercially published that same year. 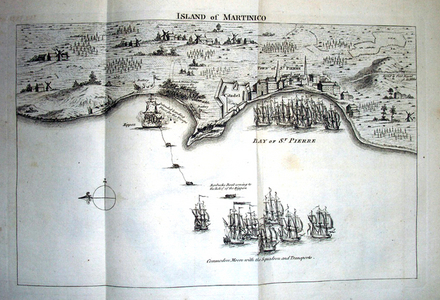 When the British Naval officer Richard Gardiner returned from a campaign against the French colonies in 1759, he published an account of the major battles at Martinique and Guadeloupe. 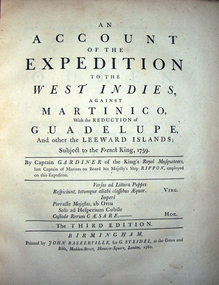 A second edition was issued and then, in 1762, John Baskerville (1706-1775) undertook the printing of a third edition. 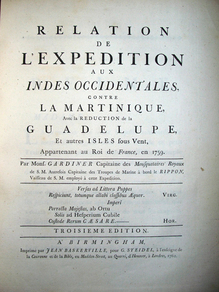 The English account was published along with a French translation (Baskerville’s only French book). 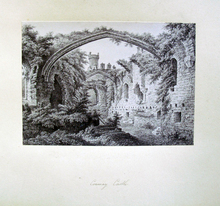 Four unsigned copperplate engraving are included between the two and Baskerville dedicated the volume to the Queen. 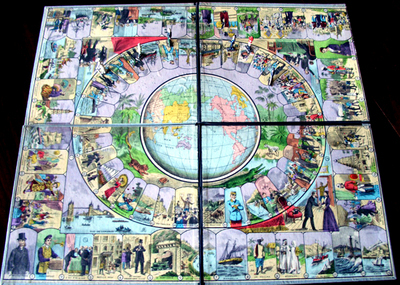 If your New Year’s resolution is to follow Phileas Fogg’s attempt to circumnavigate the globe but you don’t have eighty days to spare, you could always play this board game. 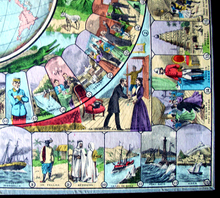 You begin with Fogg and his French assistant, Jean Passepartout, leaving London at 8:45 p.m. on October 2, 1872. Eighty spaces later, you return on December 21, 1872 to win the bet and 20,000 pounds. Along the way, you will have to bribe the ship’s engineer to reach Bombay ahead of schedule. 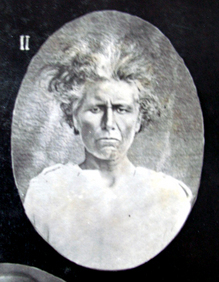 You will lose two days helping Aouda, the young Indian woman who was drugged with opium, but she will make an interesting traveling companion later on. You will be reunited with Passepartout in Yokohama, who has been working at a circus to raise the money for your passage home. 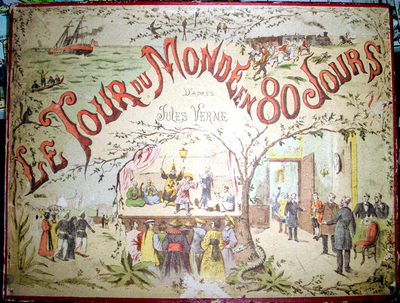 The box has no publisher or date but we assume “J.J.” stands for the toy publisher Société Française de Jeux et Jouets and other collectors have dated this chromolithographed edition around 1915. 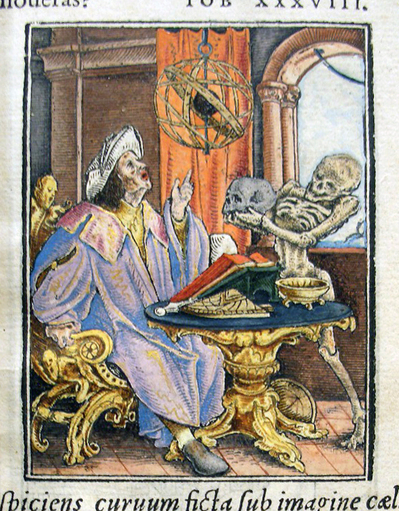 An earlier version had a lithographed board with hand coloring. James Gillray (1757-1815), Political Mathematicians, Shaking the Broad Bottom’d Hemispheres, 1807. Hand colored etching. Graphic Arts GA 2006.01534. Gift of Dickson Q. Brown, Class of 1895. At the center of the scene is James Paull, who lost the 1806 Westminster election, sitting cross legged as the fulcrum in a political tug of war. On one side is the radical Sir Francis Burdett and his friends, while on the left are the Pittites pulling in the opposite direction. At the very top, Gillray has inscribed the words: To that last Hope of the Country, - the New Opposition, this Representative of Charley’s Old Breeches in Danger, is Respectfully submitted. 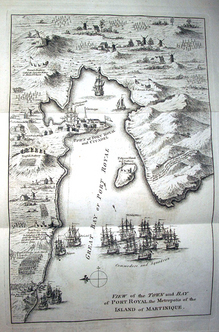 9 January 1807. 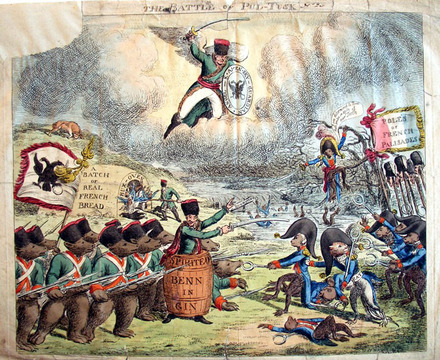 Charles Williams’ caricature presents one of the battles in Napoleon’s Poland campaign during 1806 and 1807, in his attempt to cut the ties between Poland and Russia. The December 26, 1806 battle at Pultusk is represented with bears (Russians) and apes (French) and rats (Polish). Leading the Russians is Bennigsen, who is encased from waist to ankles in a cask inscribed Spirited \ Benn \ In \ Gin. 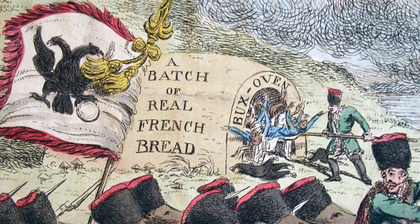 Another Russian officer shovels French apes into an oven, baking “A Batch of Real French Bread.” At the top, flies a guardian angel with a shield labeled K+Amen+Sky, representing the Russian Field Marshal Michel Fédorovitch Kamenskoi. 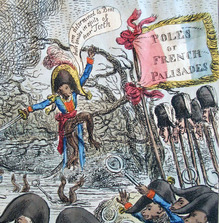 Napoleon is in a tree on the right, dressed as a rat wearing a feathered bicorne hat. He says, “I am determined to Beat these brutes in spite of their Teeth” as his soldiers use pincers to pull the bears’ teeth (pull tusk). 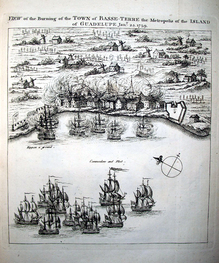 The French troops had trouble moving through the mud and swamps, arriving late to their positions. The caricature shows them advancing across the River Bug (the signpost reads Bug-Water), in which some are drowning. John Bull is seen as a bull on the hill to the left. 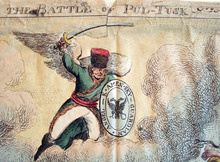 Attributed to Charles Williams (1797-1830), The Battle of Pul-Tusk, 1807. 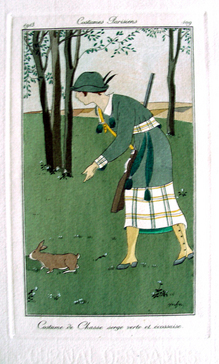 Hand colored etching. Graphic Arts British Caricature.